Most people choose full-service staging because of the remarkable transformation and because it is so quick and easy. 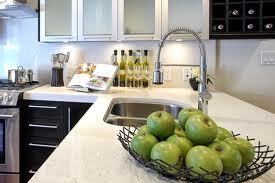 But most staging companies also offer consulting services for much less. For example, my staging consult is a 90 minute walk-through of the house, room by room. I offer suggestions how to best present your home, inside & out. Everything from curb appeal to improving interior flow. I’ll tell you which items should be packed up early, which ones to keep and how to display them. I also provide a staging handbook with expert tips for great results, and an open house checklist for showings. My fee is $200. If you are a do-it-yourself kind of person and have the time, this can be all you need and it will save you money. Basically, you are paying for a plan, and doing the labor yourself. Just a thought.